It's whale-watching season in Redwood Cove, and B&B manager Kelly Jackson's battening down the hatches for the tourist rush at Redwood Heights-a Victorian-style estate owned by her boss. And due to recent jewelry thefts, her duties include keeping track of the many dust-covered artifacts spread throughout the property. But when Kelly finds Sylvia Porter's lifeless body, menial tasks don't seem so terrible. 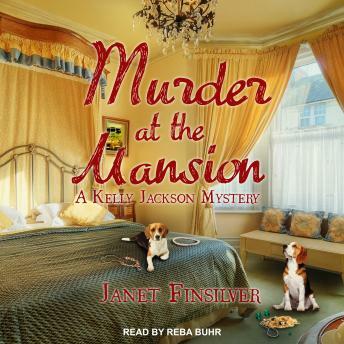 Enlisting the help of a ragtag group of brainy retirees, aka the 'Silver Sentinels,' Kelly's on the hunt for clues hidden behind the mansion's glamorous façade . . . and for a killer who may want to make history of her next!